How can this be? Friday to Sunday could be considered three days, but it is only two nights. I've heard it explained before that the Jewish people would define the end of one day and the start of the next as sundown, or about the 12th hour. This is why the Sabbath would always start on Friday at sundown. Jesus was buried just before sundown, or just before the Sabbath began (Matthew 27:57-61; Mark 15:42-47; Luke 23:50-56, John 19:38-42). This can explain the three days, but as the other commenter pointed out, it still does not explain the three nights. From this discussion, if "three days and three nights" is taken idiomatically, it means 3 days as the Jewish people of the day would have understood it. Part of Friday = one dayspan. All of Saturday = one dayspan. Part of Sunday = one dayspan. Literally three days and three nights? No. Idiomatically three days and three nights (i.e., three dayspans), as uncleanness-periods were measured? Yes. Matthew 16:21 ...and on the third day be raised. Matthew 17:32 ...and on the third day he will be raised. Luke 9:22 ...and on the third day be raised. Luke 18:33 ...and on the third day he will rise again. So if we assume Matthew 12:40 is compatible with the rest of the New Testament, "three days and three nights" cannot mean "three whole days and also three whole nights". But we ask ourselves this: how was he three days and three nights in the belly of the earth. Some scholars take the view according to paraskeuen, because of the solar eclipse from the sixth to the ninth hour when night followed day, this would be two days and nights, and adding the Sabbath, believe that we should count this as three days and three nights. But I prefer to understand this by reason of synecdoche, seeing the whole as a part: where he is dead in paraskeuen, let us count one day and one night; two with the Sabbath; the third night which arises from the day of the Lord, let us take that as the beginning of the next day, for, in Genesis the night is not of the preceding day, but of the following day, that is to say the beginning of the next day, not the end of the previous. To understand this better I will say it more simply: if a man leaves his house at nine and the next day he arrives at his other house at three. And if I say that he has been two days in travelling, I will not be reprimanded as a liar, because he has not used all the hours of two days, but only a part for his journey. Nonetheless this seems to me to be the interpretation. The question now arises: How can we say that he rose on the third day, since he lay in the grave only one day and two nights? According to the Jewish calculation it was only a day and a half; how shall we then persist in believing there were three days? To this we reply that be was in the state of death for at least a part of all three days. For he died at about two o'clock on Friday and consequently was dead for about two hours on the first day. After that night he lay in the grave all day, which is the true Sabbath. On the third day, which we commemorate now, he rose from the dead and so remained in the state of death a part of this day, just as if we say that something occurred on Easter-day, although it happens in the evening, only a portion of the day. In this sense Paul and the Evangelists say that he rose on the third day. So "three days and three nights" is an idiom meaning Friday, Saturday, Sunday, but not necessarily meaning the whole 24 hours of each day. I have heard this explained most often in context of the Jewish culture of the day. For Jews any part of the day is considered as representative of an entire day and night. Thus if Jesus was in the tomb any part of Fri, Sat and Sun it was considered to be three days and three nights. We do something similar, when we say things like "I was at the park all day", where we really mean some number of hours during that day. Though, to be fair, we generally use such a form if the amount of time spent constitutes the majority of the daylight hours. I think that Biblically the Good Friday tradition doesn't stand up to scrutiny. The traditional view tends to forget that since it was Passover there would be an additional Sabbath in the chronology. We can see a hint of this in the difference between Mark 16:1 and Luke 23:55 regarding the purchasing of spices by the women. See this website for a detailed breakdown of the timeline of the crucifixion and resurrection, but in summary Jesus was buried on Wednesday night and rose on Saturday night and the Thursday in between was a high holy day (extra Sabbath). I'd be very interested to hear any Biblical arguments against this timeline. "Three Days and Three Nights" on amazingfacts.org (an SDA resource site) says being in the heart of the earth doesn't mean being dead in the grave, but rather being controlled by the world, so the three days and three nights began when the Son of Man was betrayed into the hands of sinners. So the phrase “in the heart of the earth” can easily be translated as “in the midst of the world”--or in the grip of this lost planet—-that Jesus came to save! In other words, in Matthew 12:40, the Lord is telling His disciples that just as Jonah was in the belly of a great fish, so the Son of Man would be in the central clutches of the world. “Then cometh he to his disciples, and saith unto them, Sleep on now, and take your rest: behold, the hour is at hand, and the Son of man is betrayed into the hands of sinners” (Matthew 26:45). “Then He came the third time and said to them, ‘Are you still sleeping and resting? It is enough! The hour has come; behold, the Son of Man is being betrayed into the hands of sinners’” (Mark 14:41 NKJV). “Behold, the hour cometh, yea, is now come, that ye shall be scattered, every man to his own, and shall leave me alone” (John 16:32). “Father, the hour is come; glorify thy Son, that thy Son also may glorify thee” (John 17:1). If Jesus had meant that he was going to be in the earth for anything less than "three days and three nights" He would have not used such specific vernacular. In Genesis 1:5 NLT God explains "God called the light "day" and the darkness "night". Together these made up one 24-hour day." In as much as Jesus rose on the 'third day' while it was still dark, one would be contradicting Jesus' own words to count the daylight half of the third day, as one of the three days he was to be buried. Also overlooked is the principle of the 'special Sabbath' which was being celebrated. Therefore it is possible to have two Sabbaths back-to-back, and to have two days of preparation. If this were the case, to which Scripture points, Jesus would have been crucified on the Thursday, the day before the special Sabbath which would have also been the day of preparation for the regular Sabbath. Wednesday afternoon, Jesus is buried, DAY 1 - Day of crucifixion and day or preparation for the Special Sabbath. Wednesday sundown to Thursday sunrise, NIGHT 1 - Special Sabbath starts Thursday sunrise to Friday sundown, DAY 2 - Special Sabbath. Friday sundown to Saturday sunrise, NIGHT 2 - Day of preparation - Sabbath starts Saturday Sunrise to Saturday sundown, DAY 3 - Regular Sabbath Saturday sundown to Sunday sunrise, NIGHT 3 - Christ rises from the dead. Jesus predicted that he would be buried for three days and three nights (72 hours). Why would you doubt his word? Christianity has a long-standing tradition of Good Friday and Easter Sunday. Almost everyone that translates the Bible uses this tradition as a guide, so it is natural that almost everyone reading the Bible would start with this tradition as a basis and try to interpret scripture to fit it. The problem is, that tradition predates Christianity and was incorporated by the Roman Church very early in its history. There is no reason that any Christian should simply assume that it is true or that it applies to Jesus. "Three days and three nights" is very explicit. It is about 72 hours in length. Those that try to justify its being only 36 hours long are putting more faith in tradition than in what the Bible actually says. Jesus said "three days and three nights". Why doubt it? Mark 16:1 says "And when the sabbath was past, Mary Magdalene, and Mary the mother of James, and Salome, had bought sweet spices, that they might come and anoint him." Why doubt it? Luke 23:56 says "And they returned, and prepared spices and ointments; and rested the sabbath day according to the commandment." Why doubt it? If the Good Friday tradition is true, then at least two of the above Biblical statements are false. And if we accept that they are false, what reason do we have for not thinking that everything else in the Bible is false too? The women rested on the high sabbath (first day of Passover). The women bought spices and prepared them (the next day). The women rested on the weekly sabbath. And if we believe that, then the resurrection really could have been 72 hours after the crucifixion, without any complicated explanations or weasel arguments. Jesus died at 3pm on Wednesday and was buried shortly before the 6pm sunset. The next 24 hours, one night and one day, were the annual Passover High Sabbath. After another 12 hours of night, there were 12 hours of daylight on Friday in which the spices were bought and prepared. The next 24 hours (one night and one day) were the weekly Sabbath. Shortly before sunset on Saturday, 72 hours after his burial, Jesus rose from the dead. Early Sunday morning, before sunrise, while it was still dark (and cold enough to minimize the stench), the women discovered the empty tomb. All the details fit together. There's nothing to explain or justify. It's simply as Jesus predicted: three days and three nights. Why would any Christian doubt it? Why would any Christian believe a tradition that explicitly contradicts the only proof that Jesus gave? Celebrating Good Friday is nothing less than celebrating Jesus's failure to prove he was Christ. These three sacrifices of the Passover, Feast of unleavened bread, and the waving of the first fruit typified the death burial and resurrection of Christ and establish a timeline. At Passover on Friday the 14th of Abib, the lamb was slain. On the following day, Saturday the15th of Abib, was the first day of unleavened bread, a holy convocation. A day of rest. On the following day, Sunday the 16th of Abib, was the waving of the first-fruits. Luke's orderly account shows that Jesus ate the Passover sometime after sunset with his disciples. He was then crucified and buried on that same day. The next day, the 15th of Abib was the weekly Sabbath. Jesus spent the entire Sabbath day resting in the tomb, then on the very next day, the 16th of Abib, which was Sunday, Jesus rose from the dead. We know this is correct because of how Leviticus and Numbers organized the events of the feasts. Here is a point that many people miss. In 1 Corinthians 15:20 Paul tells us, “But now Christ has been raised from the dead, the first fruits of those who are asleep.” What is the significance of Jesus being the first-fruits in relation to his resurrection? So, on the 14th day of the first month was the Passover. On the 15th was the Sabbath of unleavened bread. On the 16th was the offering of the first- fruits. Jesus followed this exact pattern. He died on the day of Passover. The next day he rested in the tomb on the Sabbath. The next day after the Sabbath was the first day of the week. During the offering of the morning burnt offering sacrifice at sunrise, the priest was waving the first-fruits of the harvest. At that same time, Jesus was rising from the tomb. He is the first-fruits of those who sleep. We know this because Mark 16:2 tells us that when the women came to the tomb after the sun had already risen and Jesus had already risen from the tomb. In Matthew 17:22-23 Jesus gives definition to his use of “in the heart of the earth” in chapter 12, “And while they were gathering together in Galilee, Jesus said to them, 'The Son of Man is going to be delivered into the hands of men, and they will kill Him, and He will be raised on the third day.' And they were deeply grieved.” In the heart of the earth is the same thing as “into the hands of men.” From the time Jesus was betrayed to the time he rose from the tomb was three days and three nights. It is as simple as this. Mark shows us that Jesus was buried in the evening just before the Sabbath. He spent the following day which was the Sabbath in the tomb and on the day after the Sabbath which was the first day of the week - Sunday, the women come to anoint the body but he is already gone; And all of this was put forth in the Passover, the feast of unleavened bread, and the feast of first-fruits. AS other have said three days and three nights is an idiom and means a continuous period encompassing at least one whole day and the end part of the first day and the first part of the last day. For comparison look at what Esther said and did in Esther 4:16 and 5:1. In 4:16 she requests all the Jews in Susa to fast, neither eat nor drink three days, night or day; "I also and my maidens will fast likewise." "Now it came to pass on the third day." 5:1. If "three days, night and day", meant literally three full days and nights then surely she would have gone into see the King on the fourth day, not the third day. The view that a portion of a day is to be counted a a whole day is found in more than one place in the Talmud, Just one example:- "Now seeing that R. Jose is of the opinion that part of a day counts as a whole day" (Babylonian Talmud: Tractate Nazir, Folio 16a). From late Friday to early Sunday does not work for me. Although I have been told that they counted part of a day as a day and I really do not dispute that, but Matt. 12:40 like Jonah 1:17 says “three days and three nights”. Two is not three and that is a very big deal. In Matt. 12:38-40, Jesus was asked for a sign, a sort of test or a proof. What was the one and only sign He said He would give them. I would think the resurrection from the dead, but that was not the sign He said He would give them. It was the “three days and three nights”: some say that is a simile, but it is not. There is no comparison there, like “as stubborn as a mule or soft as silk”. It is a statement of fact. If He was in the tomb before sunset on Friday and I believe He arose before dawn on Sunday (John 20:1) that is two days and two nights. Even if He arose after dawn and we count it as another day, there are still just two nights. Then Jesus would still not have fulfilled the one sign, the one test, or the one proof that He said He would give them. Impossible!!! Then He would not be the Messiah. He would not have been sent by God. And He would certainly not be the only begotten Son of God by the test He Himself set. Jesus would not have failed His own test. Jesus would not have said “three days and three nights” unless He meant “three days and three nights”. Didn’t God create day and night? More about the “three days and three nights”, numerous times it is said in the scriptures that Jesus was raised on the third day - (Matthew 16:21, 17:23, 20:19, Luke 9:22, Acts 10:39-41, and I Corinthians 15:3-4). If you are counting the days of a journey for example, you count from the day you start, but if you are counting the days after an event, for example an entombment, you do not count the day of the entombment (if He arose that day it would be on the same day) you start counting the next day. Say, Jesus was entombed on Friday, then Saturday would be day one and Sunday would be day two, not the third day. Therefore, Jesus must have been entombed on a Thursday. Friday was the First Day of Unleavened Bread, a Sabbath day (Leviticus 23:6-7), then of course Saturday was the regular weekly Sabbath, making it two Sabbaths in a row. Note: parts of 3 days & 3 nights in tomb, if arose before dawn also He arose on 3rd day after entombment as per scripture. 10th -16th is 7 days, the # for complete. 17th is 8th day, the # for new beginnings. Not the answer you're looking for? Browse other questions tagged chronology easter resurrection-of-jesus tomb-of-jesus good-friday or ask your own question. How are 3 days/nights in grave prophecy reconclied if Jesus died on Good Fri & arose Sun? How did the church calculate Sunday as the day of the resurrection? Good Friday is it an accurate day? 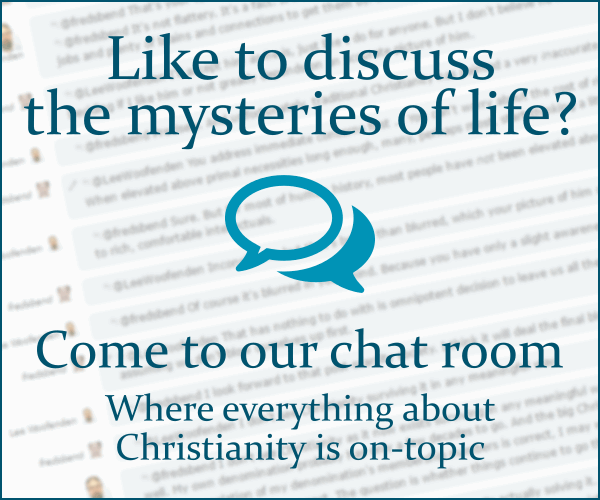 What evidence is there that Jesus died on the cross? Do any denominations besides the United Church of God commemorate Jesus' death on a Wednesday? What is the basis for the idiomatic understanding of “three days in the tomb” as two nights and a day? How was the Catholic Easter calendar established, despite this passage? How is it significant that Jesus rose on the 3rd day?